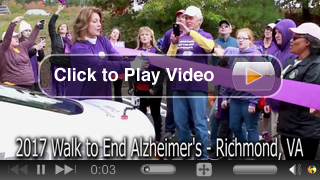 Richmond Ford was proud to be a local presenting sponsor for the 2017 Walk to End Alzheimer's. Ron and Jeanine Kody, owners of Richmond Ford, have both lost parents to Alzheimer's, so it is an event we look forward to and are honored to be part of. Over 2,500 people walked and raised over 480,000 dollars for Alzheimer's research at this year's event. Check out Richmond Ford West's blog for more on the event! We look forward to continuing to sponsor this event to fight for a world without Alzheimer's.